"The deliberation with which he writes recalls a woodcutter, polishing his creations until they give off a deep, burnished glow." Irish Nocturnes ranges in subject matter from the Siege of Derry to Buddhist philosophy, from owls and kingfishers to fear of the dark, from sheepdogs to how we acquire language, from learning things by heart to coping with a sense of exile, from the origin of life to making linen, from bits of bone to Japanese temple bells. These verbal nocturnes may not have the same lyricism as their musical namesakes, but they have a similarly pensive quality. These nocturnes are rooted in the same parts of Ireland as I am. They took shape where I was born and grew up. Inevitably, they derive much of their tone and colour from the places, people and events that constitute my background. To the extent that writing has a voice, they speak with the same accent whose inflection and intonation mark every word I utter. I hope this provides sufficient commonality to justify gathering them together as a book. But though the Irish dimension does indeed provide a linking thread, under-running all the different themes with the same familial bloodline, the nocturnes are the outcome of many intermarriages, brief encounters and unexpected alliances, which often take them far away from their ancestral roots. Kinship does not rule out distance, difference, or diversity, as I hope the pages that follow will illustrate. The ground covered in them, if it does not sound too grandiose, belongs to the human tribe, rather than to some little County Antrim clan, even if the universal issues are addressed in an Ulster accent; even if the points of departure are often minutely local. Symbols are born when the coal of everyday experience implodes into diamonds under the pressure of a weight of meaning that is more than merely ordinary. Through their glittering facets we can look at ourselves and the world in a new light, have things brought sharply into different focus, cut through to other levels of valuation. This is not a definition (definitions are for dissertations), only an attempt to trace the elusive lineaments of what I have been searching for, consciously and unconsciously, for years. I liken symbols to diamonds because of these gems' hardness and clarity. They are like water suddenly turned solid, or air distilled into its own pellucid essence and crystallized, so that what we passed through before unthinkingly suddenly forces us to stop, look at the familiar again, and ask where we are going, where we have come from, who and what we are. Like ice (which is, after all, the slang name for them) diamonds seem to grip water in such an iron fist that it fuses into a dense concentrate, but one that is harder by far than anything mere freezing could impose. Symbols store in abundance the promise of hoarded water, enough to quench our salty, ever-clamant thirst for meaning. To find them, and thaw them into sustenance is part of what these nocturnes attempt to do... Beside the big history-changing icons of cross and flag, of church and country, of orange and green, that have held such sway in Ireland for so long, the symbols teased out here are unsuspected, small scale, individual. They are derived from corncrakes, owls and kingfishers, from bits of bone and walking sticks, from temple bells and sheepdogs, old books and pieces of linen. "It is the mature and nuanced play of Arthur's mind that captivates. Arthur calls these essays 'nocturnes' in commemoration of John Field, the Irish composer who was Chopin's inspiration. They convey the reader into mysterious mazes of association and reflection which are, I believe, unique in Irish writing ... The real value of these intensely absorbing personal meditations is that, somewhat like W.G. Sebald's The Rings of Saturn or Naipaul's The Enigma of Arrival, they are a genre unto themselves and their apartness from other ways of writing is licensed by the force and eloquence of the writing itself. These nocturnes accommodate the most personal and local of memories and the most abstract of philosophical musings, but in the mature, elegiac and confident voice that speaks through them, they encircle a space in which one life can be free to be itself." 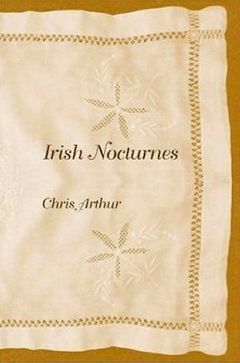 "These words from Chris Arthur's foreword [this review essay starts with a long quote] perfectly prepare the reader for the gem-like radiance of his eighteen Irish Nocturnes, and they indicate how utterly improbable it is that anyone discussing the volume can do justice to Arthur's original words and images. Attempting to suggest the quality of these essays by cataloguing the themes they encompass and describing their structure is a lot like talking about a poem: while the observations are beneficial, the magic of the original is inevitably lost in translation ... With the eye of a poet and the sensibilities of a naturalist, Arthur captures his readers' attention easily and fully ... like William Wordsworth two centuries before him, Arthur aims to awaken his reader to a fresh sense of the small things of the natural world by casting them in new contexts and posing questions that illuminate their metaphysical significance ... In the process of articulating the philosophical concerns raised by the symbols he meditates upon, Arthur utilizes a consistent pattern to engage the reader's powers of analysis and reflection ... Each essay also addresses the numinous essence of ordinary things in nature ... The force of passages like this one [a further quote] lies in Arthur's skill in establishing a clear, distinctive mood — as befits a nocturne. In this, Arthur resembles both Loren Eiseley and fellow Ulsterman Seamus Heaney, two writers who brilliantly illustrate the physical and metaphysical connections between the animal and human worlds and map those connections through time. For one familiar with Heaney's work, reading Arthur's essays will immediately suggest felicitous pairings." "Sheer pleasure, a swim through the waters of consciousness of a man clearly fluent and knowledgeable in the essay form, full of information and opinion, fact and personal observation, a book that rewards in many ways, virtually in every sentence ... Admittedly I started the first essay, "Linen," with a fear that I would be subjected to one of those wearying parsings of technique too often serving as essays (how neon is made; how the horned beetle mates), in which one learns industrial or biological detail one is never likely to have use for and which, in the words of Dylan Thomas, "tell us everything about the wasp but why". But no, Arthur moves from the tradition of linen to the strands of history and the sorrows of those who have come before us — a movement back in time that he conjures on the flying carpet of a single piece of antique linen ... In a mere fourteen pages we have surveyed the history of mankind through a piece of stuff that lies beneath the author's computer, and we — I — find a new way to meditate existence. So it continues, essay after essay." "The author — an Ulster-born, Buddhist-influenced, Scottish-educated former Irish game-warden-turned-essayist — must, on the strength of this collection alone, now be counted among the most innovative advocates of creative nonfiction in contemporary Irish writing, and certainly the one most committed to creating a distinctly Irish habitation for the essay ... The luminous opening essay, on Irish linen, engages in an extended meditation in how we might pull each thread and move back in history, evoking Aldo Leopold's account of a log going through a sawmill in Sand County Almanac." "One of the ways of describing what Arthur's essays amount to is to think of them as a quest for a spiritual ecology, a view inevitably reinforced by their references to Eastern religion ... It's because Irish Nocturnes ultimately amounts to a statement of commitment to a new start that it is a valuable and worthwhile work ... Nobody from the Protestant community in Northern Ireland has spoken before as this book speaks." "Don't underestimate the imaginative qualities of this collection. Look in this direction, and it's all about wildlife; look over there and it's about the politics of contemporary Ireland; switch tack and it's all about exile and loss and personal identity ... Arthur's text — a challenge to the canonical tyranny of the empowered — is a gracious composition; a weave of contemplative, meditative longing." "Arthur breathes life into the genre of Irish history, while at the same time breaking free from the boundaries of genre altogether, making it impossible to fit this book into any one single category. It is neither history nor memoir, short story nor essay collection, poetry nor prose; but instead all of these at once, creating a book that is breathtaking in its originality ... Using language that is deeply descriptive and poetic, Arthur maps out Ireland from his own personal perspective and encourages the reader to do the same. Entertaining, emotive and deeply moving, Irish Nocturnes will make you question your own views of the past, present and future. A book not to be missed." "As a historical commentator, lyrical ecologist, and prodigal son of Ulster, Chris Arthur is a most illuminating guide to an Ireland of metaphor and metaphysics, a landscape that might easily be missed by those just looking for the fissures and the craic." Etudes Irlandaises (Vol.26 no.1 (2001), pp.175-176). This is the main French academic journal in the area with an emphasis on interdisciplinary subjects. Etudes Irlandaises is a peer-reviewed journal, publishing articles in English and French. The review of Irish Nocturnes (in French) is by Danielle Jacquin. The Brazilian Journal of Irish Studies (based at the University of Sao Paolo), see Vol.3 (2001), pp.172-174 for Magda Velloso Ferndandes de Tolentino's review ("... well worth reading. Beautiful, poignant, his mapping of Ireland ... is thoughtful and deep.") This is the journal of the Associaccao Brasileira de Estudos Irlandeses — the Brazilian Association of Irish Studies. Nordic Irish Studies (based at the Universities of Aarhus and Dalarna). See vol.4 (2005), pp.191-194 for Irene Gilsenan Nordin's review ("... thought-provoking and immensely readable essays.") Details of the journal may be found here. "The essay verges on the logic of music." 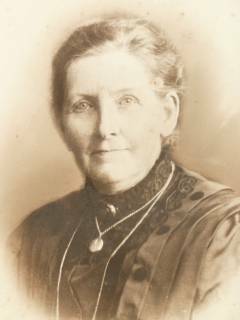 The author"s great grandmother, who made the carver referred to in "Linen". 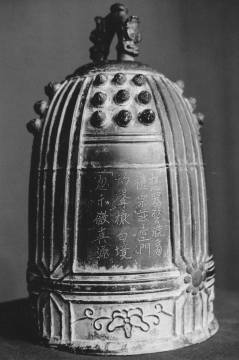 The bell from Renge-ji Temple, found in a County Antrim junk shop and subsequently returned to Japan. Its story is told in "Substitute Psychometry". 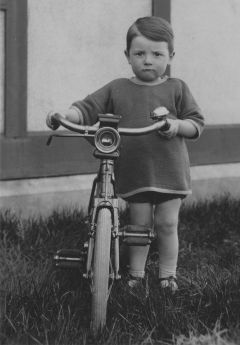 Inexplicably referred to in Irish Nocturnes as "a boy of maybe twelve", this is the photograph of the child — surely no more than five years old — who was to perish in the torpedoing of the Lusitania in 1915. The incident is one of the central threads in "Kingfishers". 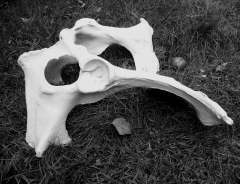 The point of departure for "Meditation on the Pelvis of an Unknown Animal". This is the Will referred to in "Facing the Family". It also features in Arthur's poem, "Beyond Aughlish", included in the selection of his work in Lagan Press's Poetry Introductions 1. Click to enlarge. 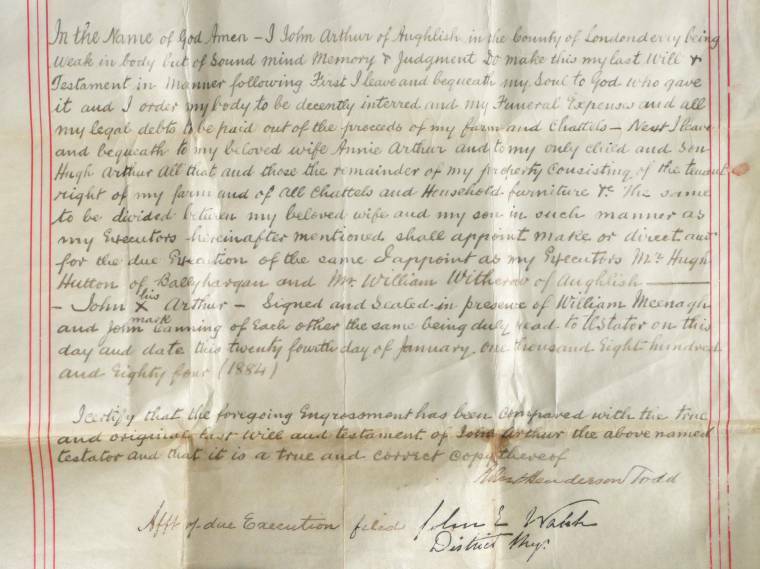 Pages from Walker's Diary ("A True Account of the Siege of London-Derry, by the Rev. 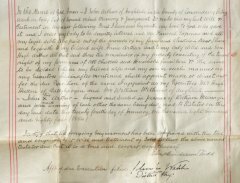 Mr. George Walker, Rector of Donaghmore, in the Country of Tyrone and Late governor of Derry in Ireland"), first published in 1689. 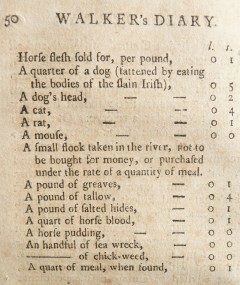 The page gives a list of food prices which illustrate how the besieged populace of some 30,000 people were "under the greatest extremity for want of provision." 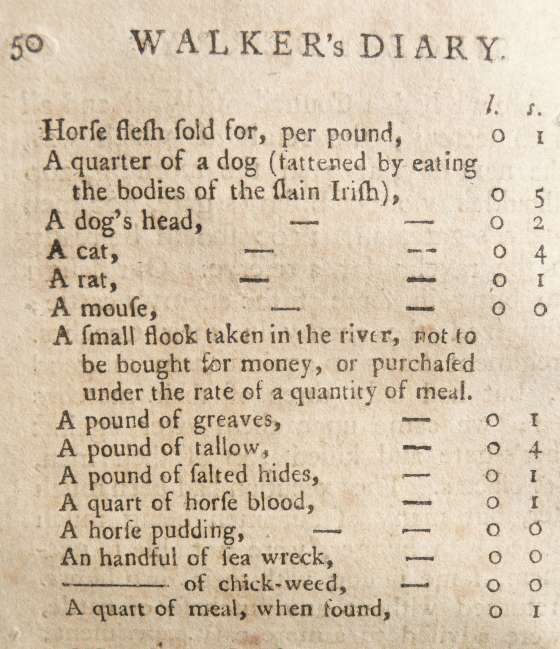 The second item listed offers for five shillings and sixpence (an astronomical sum) "a quarter of a dog fattened by eating the bodies of the slain Irish." The book plays a key role in "Under Siege," a meditation on the problem of evil. Click to enlarge.